• Affordability: A product with a retail value of $100 or less was given 2 points towards its total, while a product with a retail value of $101 or more was given 1 point. Those few products that are not yet widely available were not awarded points based on their affordability. • Appearance on a “Best” List (1 point per appearance): Appearances on “best” lists of organizations and publications such as CES, HowtoGeek, Fortune, Wired, and others played a large part in the final ranking of these gadgets. Generally speaking, the more a gadget was celebrated by others in the business and tech industries, the higher it placed on this list. • Convenience: Products that can be enjoyed by anyone working in an office (as opposed to those in a specific field) were awarded 1 point for convenience. • Environmental Friendliness: Products made with recycled materials or with sustainable designs were given 1 point for environmental friendliness. • Awards & Recognition (1 point per accolade): Whether an international award or an honor bestowed by a group or organization, any recognition a product has received contributed to its placement on this list. For those in industries involving graphics or game design, it can be a constant challenge and expense to keep hardware up-to-date. 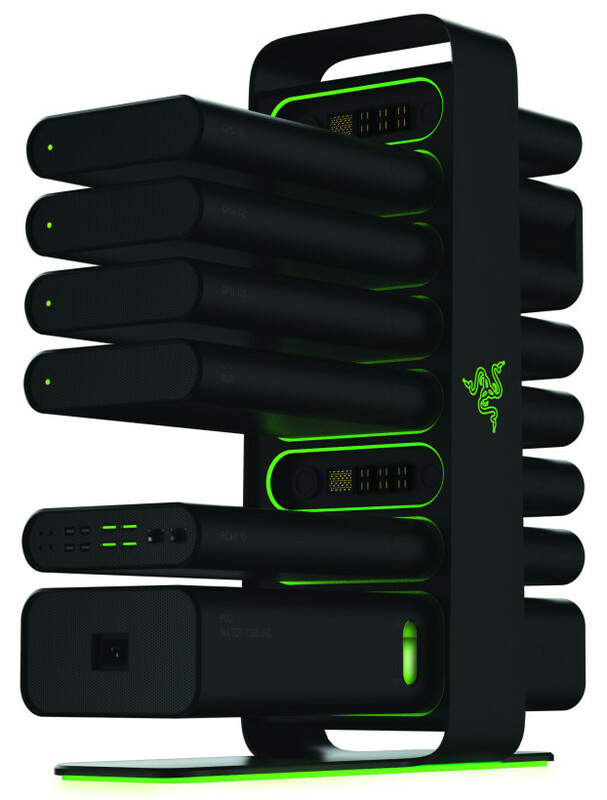 Now, the tech giant Razer might have a solution in Project Christine, a modular desktop computer that allows users to swap in new components with minimal knowledge, effort, or expense. Disc-like components such as a CPU, a GPU, a hard-drive, or a memory plug in simply to Christine’s backbone. Once connected, Project Christine automatically syncs the new module through PCI-Express — the same technology graphics cards already use. Though Project Christine was the talk of CES 2014, it is not yet available in wide release. Thousands of people find it helpful to listen to music while working. In fact, recent studies suggest that listening to music increases levels of the neurotransmitter dopamine, a brain chemical that can help one focus while working. 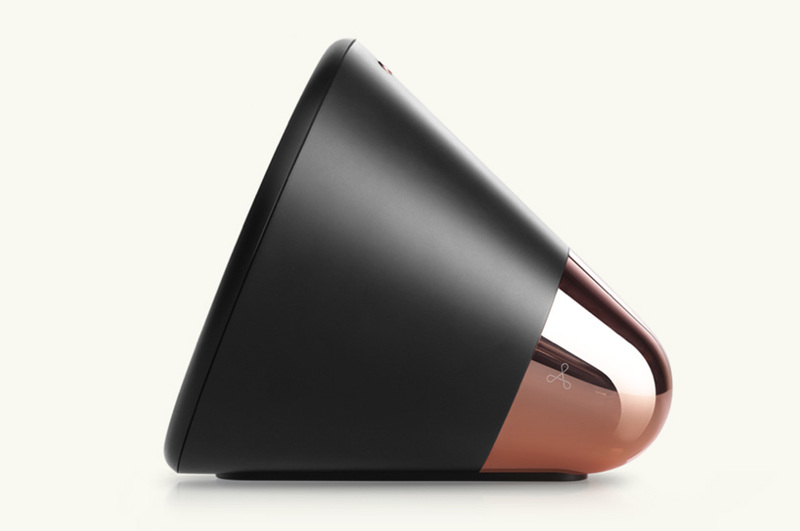 For these people comes the Aether Cone, a thinking music player that listens to your requests, picks up on your habits, and learns your tastes to create the perfect soundtrack for any mood or moment in which you may find yourself. So that you never run out of listening material, Cone offers access to Rdio’s library of over 30 million songs, plus thousands of podcasts and internet radio stations. 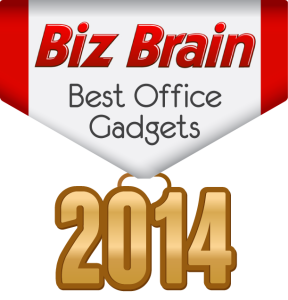 The G-Drive is a fast, portable, and easy-to-use storage solution that is perfect for the busy professional. With a transfer rate of 400MB per second, the G-Drive is faster (read: more convenient) than your typical flash- or thumb-drive. 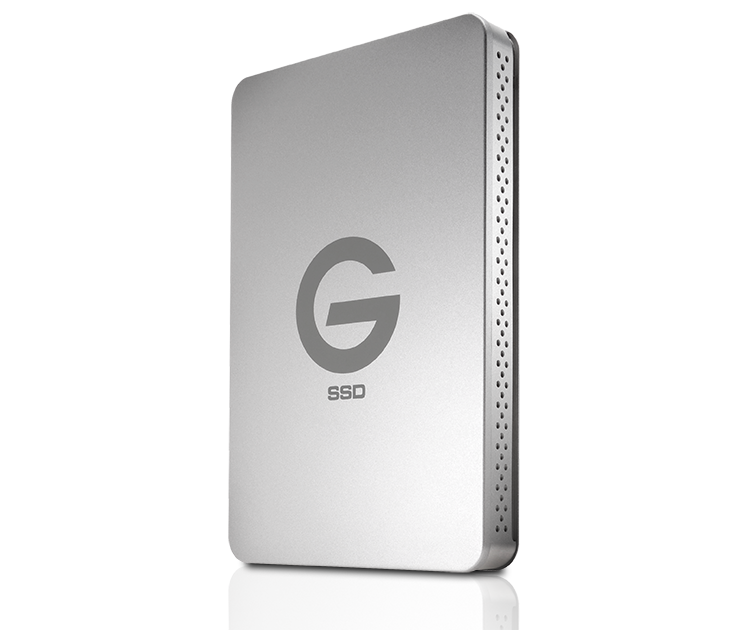 Plus, unlike similar products on the market, the G-Drive is compatible with both Windows and Mac, making it a handy tool for those who work with a number of different hardware types. Th G-Drive comes with all necessary cables, plus a three-year limited warranty. The Sphere is LaCie’s elegant new hard drive that is sure to add sophistication and prestige to any business or home office. 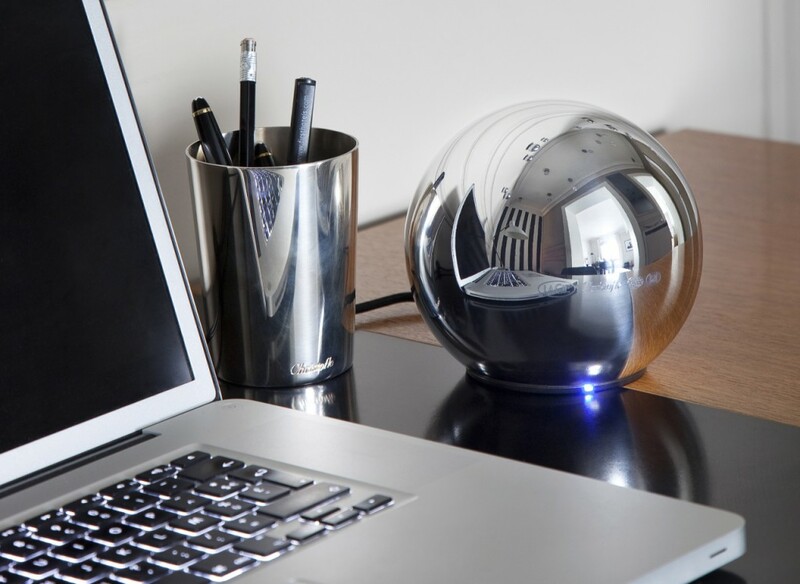 Designed by Christofle, the hard drive is contained within a silver-plated spherical case that is hand-crafted and silvered in France. Even better, the Sphere is as useful as it is beautiful. File transfers and backups finish nearly three times faster with its high-speed USB 3.0, while 1 TB of storage offers enough space for years of backups, or extensive photo, video, or music libraries. And since the Sphere is powered through USB, power cords are never necessary. There is nothing healthy about sitting behind a desk all day, but with the Cubii Elliptical you can burn up to 120 calories an hour just by working. The compact elliptical trainer is especially designed to be used at work. It fits comfortably underneath a desk, is quiet so as not to be distracting to others, is portable, and is designed to provide smooth elliptical movement of the legs while keeping the knees away from the underside of the desk and other sharp edges. 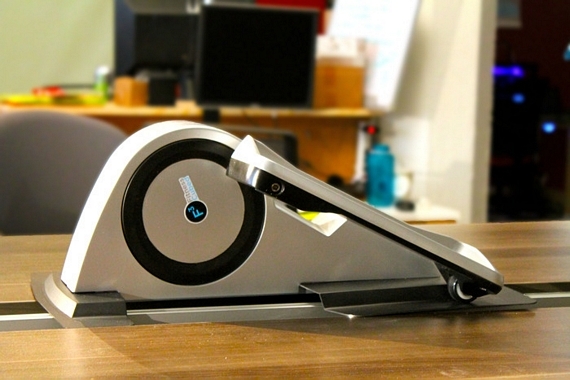 Though other under-desk ellipticals exist on the market, Cubii is the newest and one of the least expensive, with prices beginning at $320. 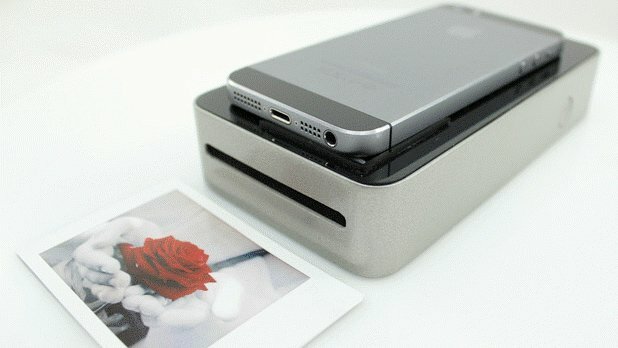 According to its manufacturers, SnapJet is the world’s first portable, open-source, instant film printer. Versatile enough to work with any phone (seriously: if you can see it, you can print it! ), and capable of working without any ink, print drivers, wifi, bluetooth, cables, or app, SnapJet prints retina-quality prints in seconds. With SnapJet, you can print images for a new project, make a birthday card for a co-worker, or bring it along to a meeting and create a personalized business card for a client. The Transporter, developed by Connected Data, allows you to deliver your own cloud service for file syncing and sharing on easy to deploy hardware appliances that you own and control. 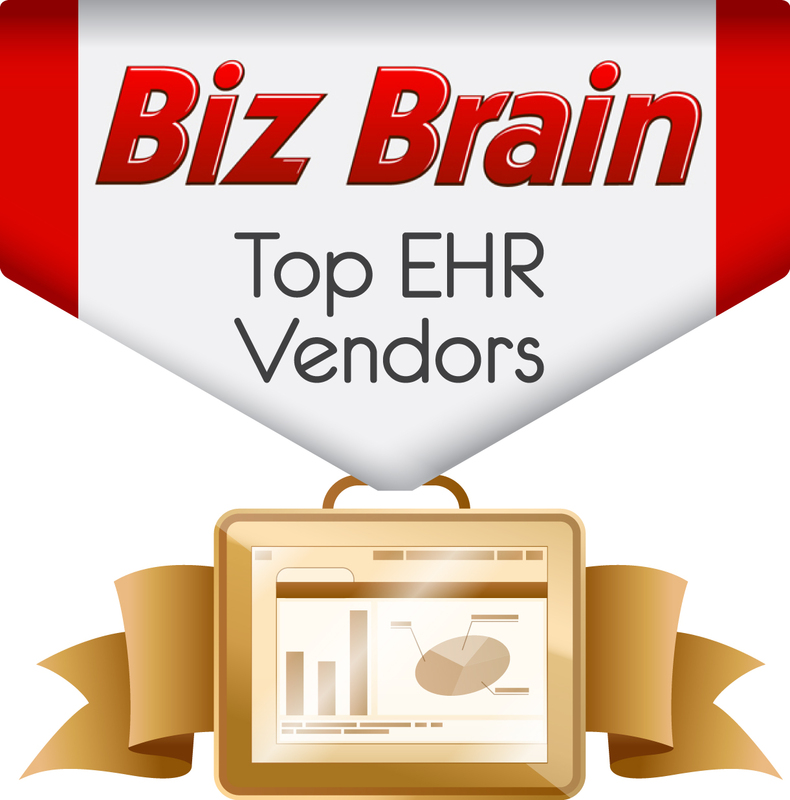 In short, it allows you to manage your business’ files privately. Popular services like Dropbox and Box require users to navigate a shared drive to find files, which slows down efficiency and inevitably risks exposing sensitive business information. But Transporter removes the limitations imposed by those other services and allows employees to personally organize shared files and folders on their computers in ways that make sense to them, access those files from mobile devices, and sync data from home or on the road. 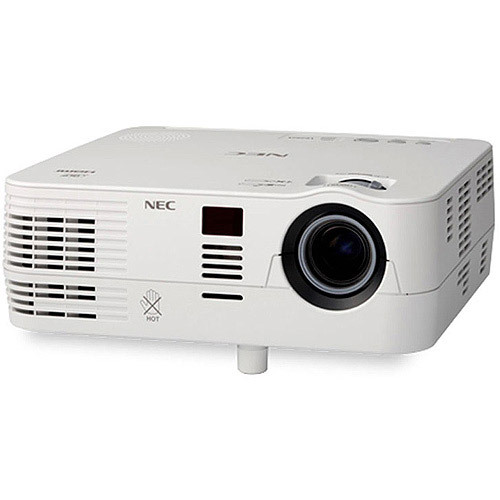 NEC VE281 is a mobile projector designed to provide high brightness for businesses, schools, and corporate conference rooms where heavy ambient light is present but the space requires a small projector. Lightweight and affordable, the projector includes 3D Ready technology, high-contrast imagery, and a powerful 7W speaker. Designed by Philips with VIDI technology, the NEC projector is a revolutionary new option for those in need of a small and portable projector with increased brightness and top-of-the-line sharpness. 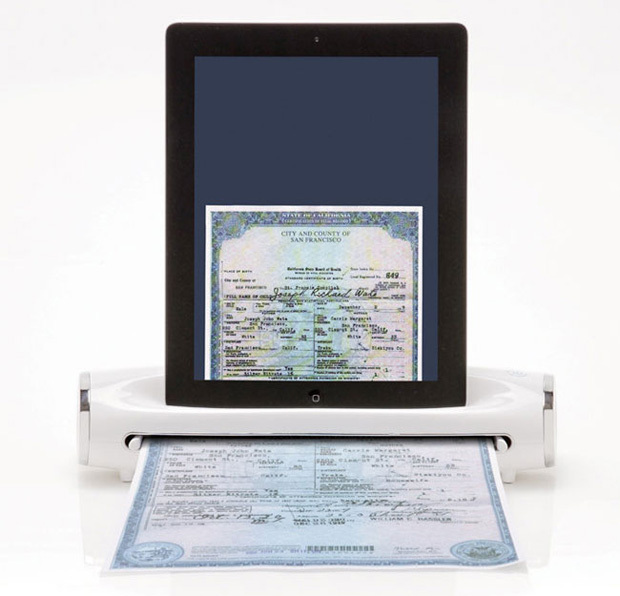 It has never been easier to digitize important photos and documents than with the Photo to iPad Scanning Dock; simply feed a photo or document into the scanner and in as little as twelve seconds, the document can be saved as a digital file. Plus, the integrated dock holds your iPad upright and has a built-in Lightning connector that recharges the battery in only five hours. The scanning dock is perfect for anyone who needs to sign or gather papers on the go, the scanner scans any sheet up to 8 1/2” x 14”. 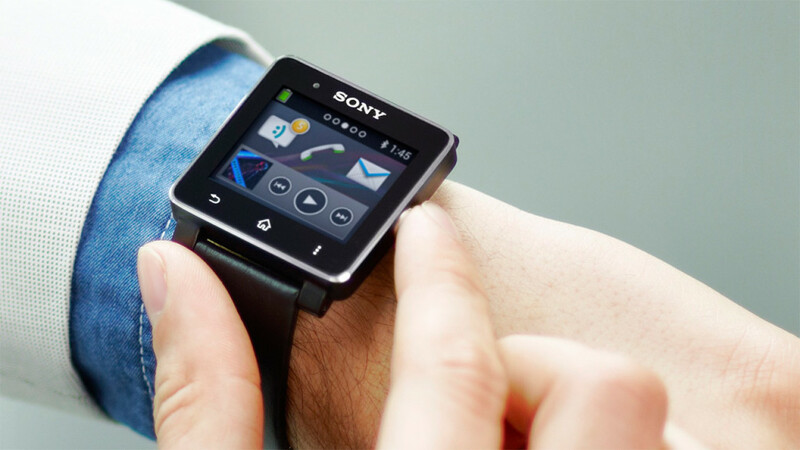 You can consolidate all of your necessary communication into the new Sony Smartwatch, the world’s first Android-compatible Smartwatch. The Smartwatch allows you to worry about one less thing by turning your phone into a remote of sorts: leave your phone in your purse, briefcase, desk, or pocket, and view calls and texts, check your email, control your music, get notifications, and much more with a gentle vibration of your Smartwatch on your wrist. One of the best new features of the Sony Smartwatch 2 is its rain-proof durability, meaning you can rely upon your Smartwatch anywhere at any time. With its advanced data security and spacious capacity, SanDisk’s newest flash drive, the Cruzer Fit, offers a secure and easy way to transfer files. 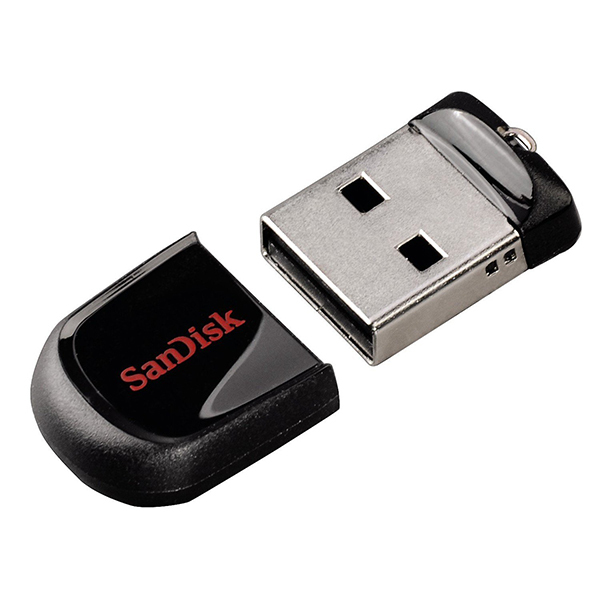 Consistent with SanDisk’s user-friendly reputation, the Cruzer Fit has a conveniently low-profile design. It is small enough to fit onto a key ring or in a pocket, and connects comfortably to laptops, desktops, tablets, car audio USB ports, televisions, and more. Plus, it comes in a variety of capacities ranging from 4GB to 64GB, to ensure you have the space you need. With the Anker Astro Mini external battery, you won’t ever need to worry about running out of phone battery while out on the job. While most external batteries on the market work exclusively with either iPhone or Android, the Anker Astro Mini uses PowerIQ technology to identify your device in order to “speak its unique charging language.” Keep the 3 oz. 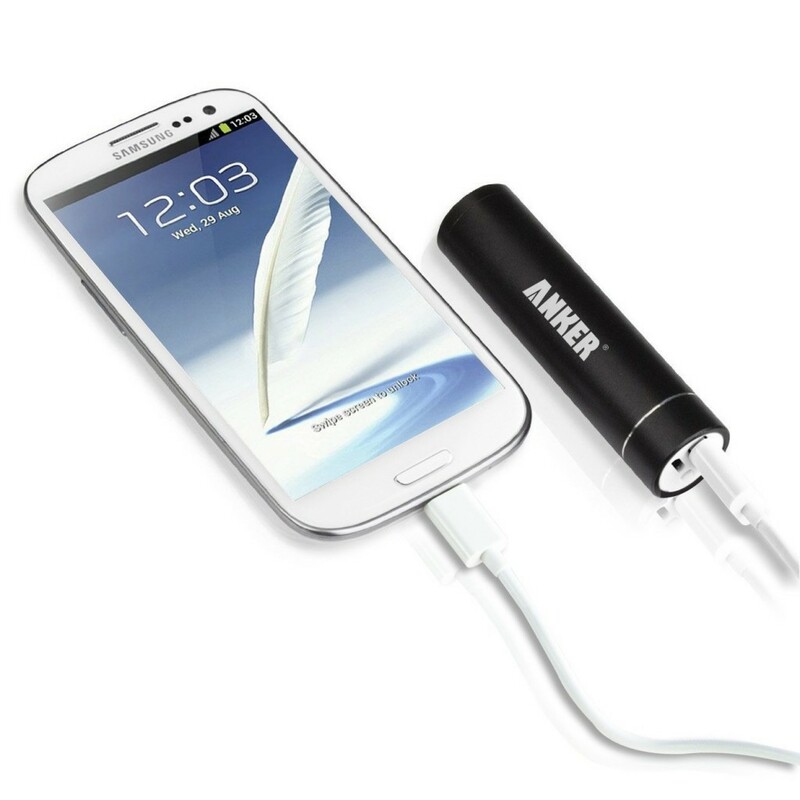 Anker Astro Mini in a purse or pocket, and plug it into your phone when you need a full recharge. And there’s no need to worry about taking the Anker Astro Mini outside of the office — it’s aluminum outer shell makes it a rugged and durable accessory. The new VivoTav 8, which retails for less than $300, is a stylish and affordable option for business users looking for a stylus-driven tablet. Packed with a stylus and a sharp 8-inch display with Wacom digitizer support, the VivoTab 8 is perfect for precise and natural note-taking during a one-on-one conversation or a full conference. 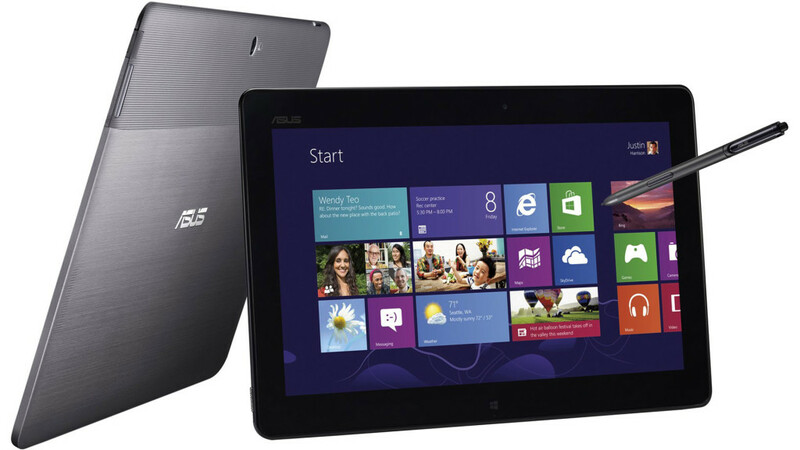 Even better, it boasts a quad-core processor, eight hours of battery life, and a free copy of Microsoft Office. 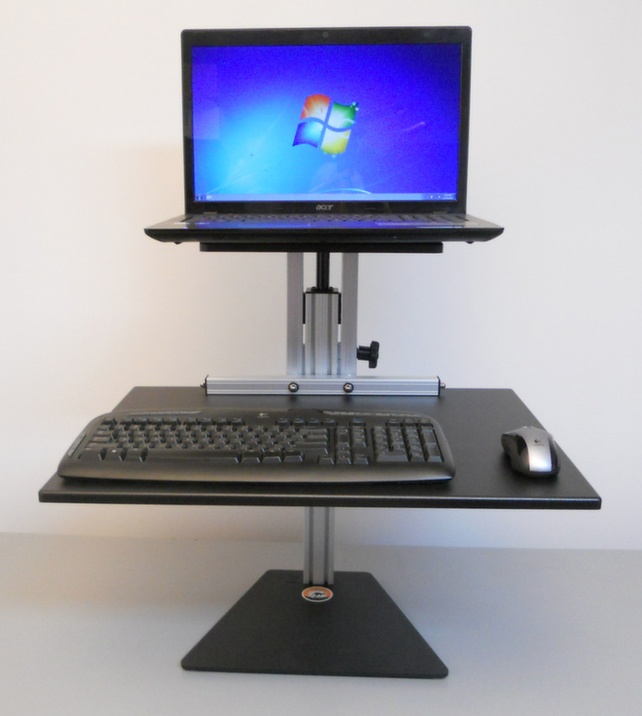 If sitting all day isn’t for you, the Ergo Kangaroo Standing Desk is an increasingly popular new option that allows you to adjust your computer monitor, keyboard, and workspace to any comfortable height. Set it down or raise it up, the Ergo Kangaroo makes it as easy as the twist of a knob. Unlike other standing desks on the market, the Ergo Kangaroo allows you to adjust the keyboard and monitor mounts separately to assist you in finding the perfect spot for your head and hands, whether you are sitting or standing. And for those with creative input, the Kangaroo comes in a variety of colors to match any desktop or home office scheme. High-tech wearables are nothing new for the business world, but in 2014, Intel introduced an interesting new set of earbuds that can help you stay both mentally and physically healthy throughout your day, including while at work. These body-monitoring earbuds sync to both iOS and Android phones, and track everything from calorie and distance traveled, to your heartbeat in real time. When that inevitable slump occurs just after lunch, the earbuds will automatically play you a song especially chosen to pump you up, while a calming song will be offered after that frustrating meeting with your boss. 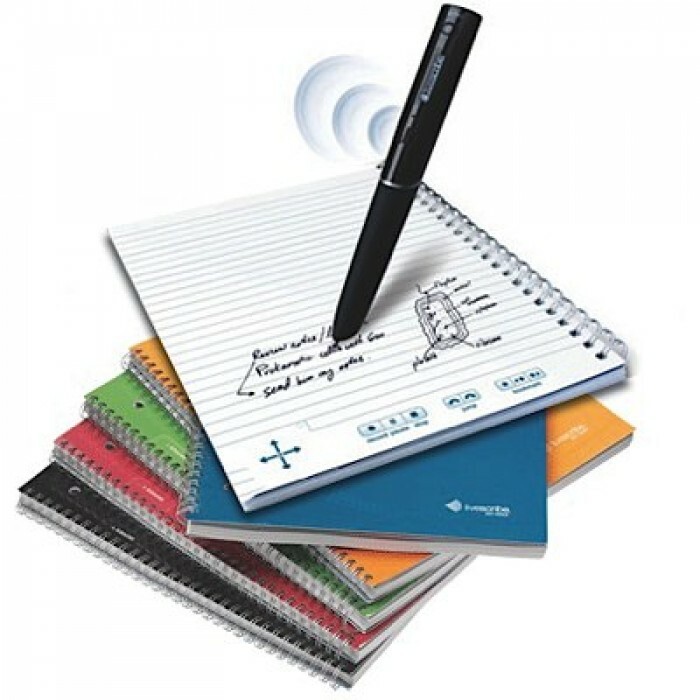 With the LiveScribe Echo Smartpen, you will never miss another important word in a meeting, conference, or class. Use the smartpen to record everything you hear, say, and write while linking your audio recordings to your notes. To recall anything that was said, simply tap the pen over your handwritten notes and replay the audio from your Livescribe paper, a computer, or a mobile device. Even more conveniently, the LiveScribe Echo Smartpen allows you to send notes and audio via email, Google Docs, Facebook, Microsoft OneNote, MyLiveScribe, your mobile device, and more. Conferences and business meetings will never be the same now that Sony has introduced their new 4K Ultra Short Throw Projector. The projector sits on the floor and much closer to the wall or screen than any other traditional projector, yet still presents an incredibly sharp picture. 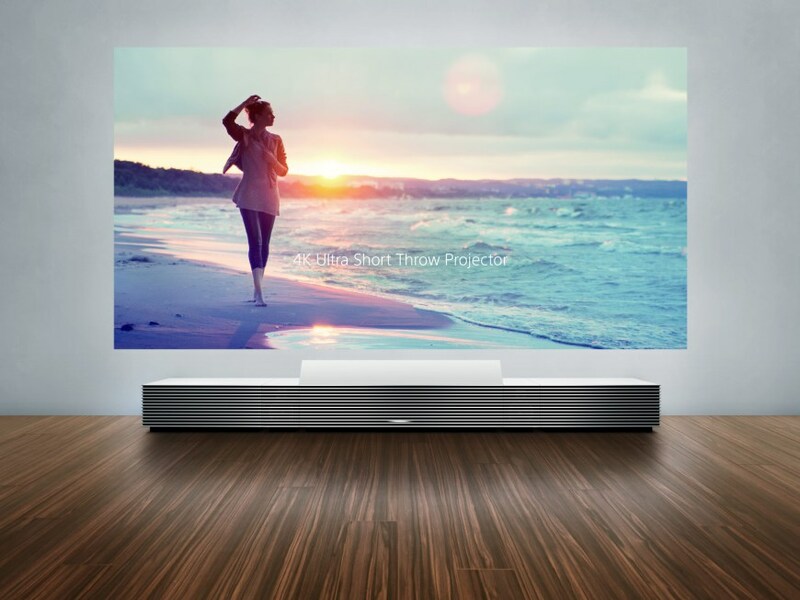 The projector’s sleek, minimalist design makes it looks like a work of art with theater-quality visual and audio capabilities. It’s no wonder Sony’s announcement of the 4K was its most exciting of the year — according to early reviews, not only does the 4K feel like the future of projectors, it feels like the future of television. 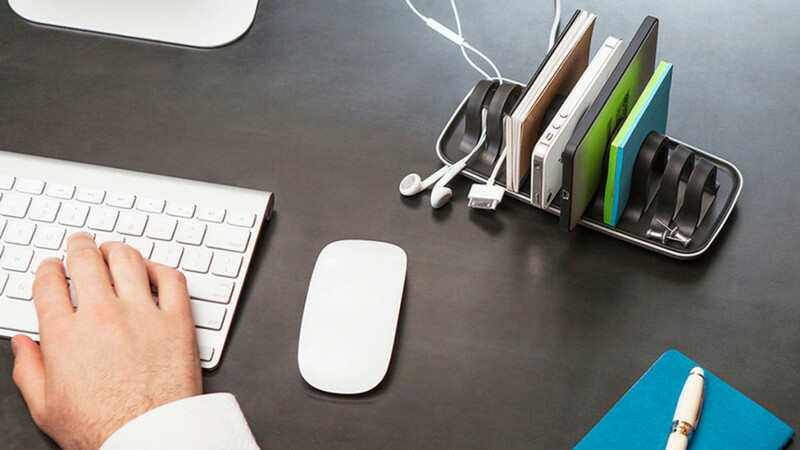 Though hardly high-tech, the Cordies desktop organizer has the ability to completely change the way you organize yourself, your work, and your workspace. Available in small to medium sizes, and in various playful forms, Cordies is a desktop cable management system that organizes your various computer cables. Better yet, Cordies weighs the cords down and saves them from sliding off your desktop when they are disconnected (which means Cordies also saves you from those potential embarrassing under-the-desk dives in search of a cord. Solid data protection meets convenient size in the LaCie PetiteKey USB Drive. 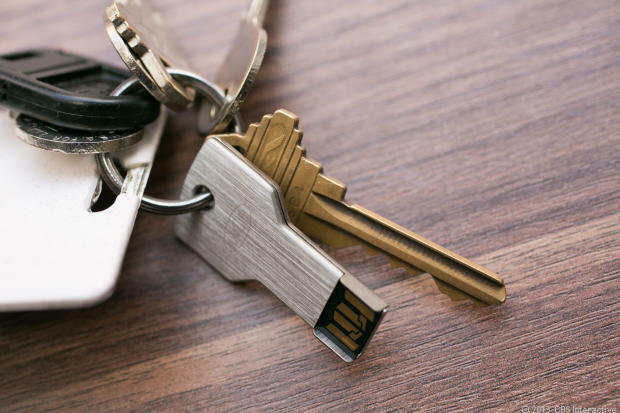 Shaped like a key to fit easily and inconspicuously onto a keyring, the PetiteKey is even more functional than its larger predecessor. Each PetiteKey comes with LaCie Private-Public software with password protection and 256-bit encryption, while its 100-meter waterproof design makes the PetiteKey resistant to the number one killer of external drive data loss — water damage. Best of all, the PetiteKey is available in sizes from 8-32GB, allowing you to fit an enormous amount of data onto the small drive. 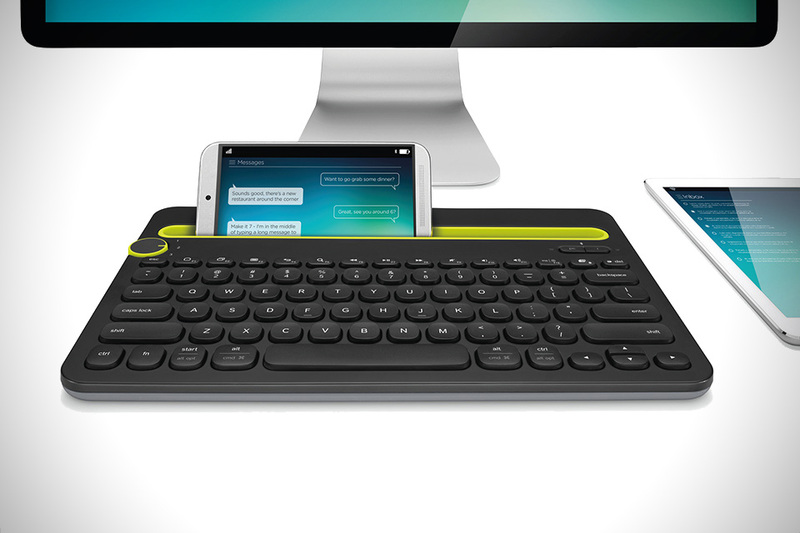 The first of its kind on the market, LogiTech’s unique desk keyboard can work with a traditional desktop computer, a tablet, and a smartphone. 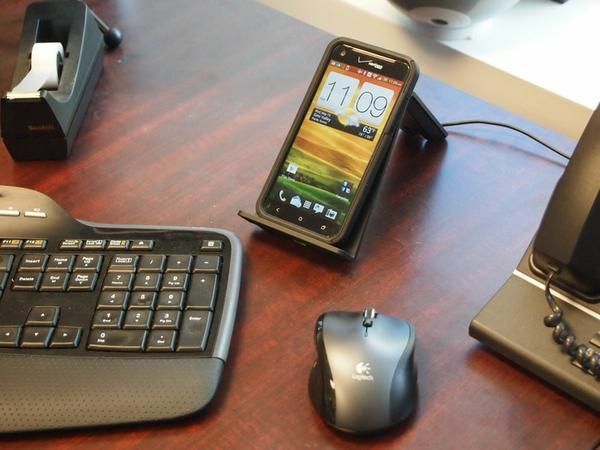 The integrated smartphone/tablet cradle built into the keyboard makes switching between three different Bluetooth devices a breeze. Type on any device with the same familiar typing experience you’re used to — simply flick the dial to switch from typing an email on your desktop to answering a text on your phone. And the keyboard itself is just as versatile. Among its keys you’ll find all the shortcuts for Windows, Mac, or Chrome computers, as well as Android and iOS mobile devices. No office environment is complete without a coffee maker, and there is no better coffee maker on the market this year than the AeroPress Coffee and Espresso Maker. 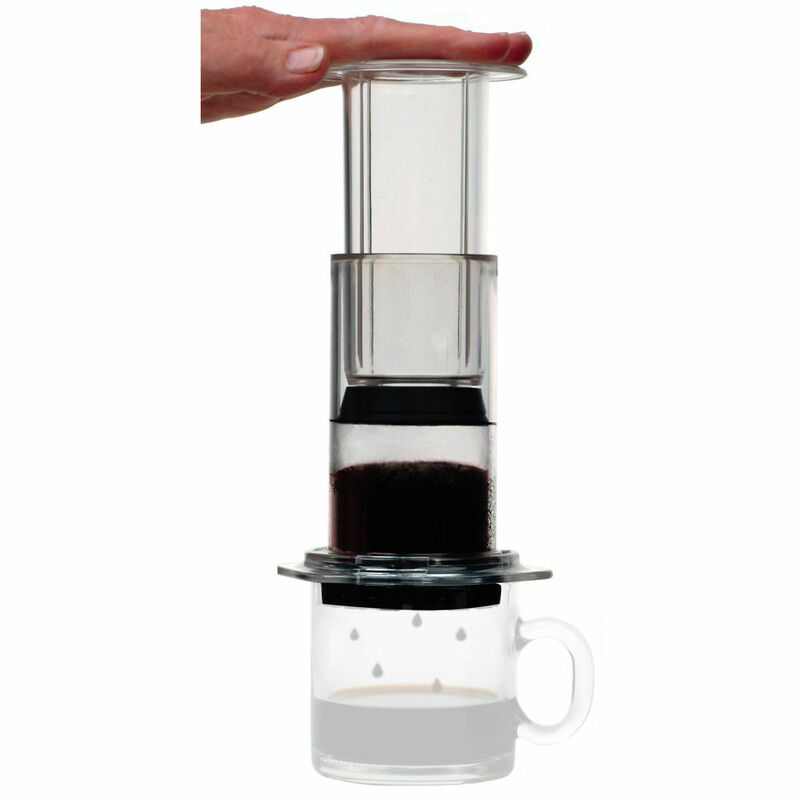 Fast and convenient, the AeroPress uses water temperature and gentle air pressure brewing to produce a cup of coffee that is rich in flavor. Each press takes only twenty seconds and makes 1-4 cups of coffee, meaning you can fill your mug and refuel without taking too much time out of your day. The Tylt Vü Wireless Charger may just be the future of smartphone charging. Available in a number of different colors, the innovative Tylt Vü is instantly recognizable for its unique shape. As soon as a compatible smartphone is placed in the cradle, the Vü will instantly begin charging. Best of all, there’s no need to keep that text message (or Words With Friends game) waiting — the Vü’s 45 degree angle allows you to see your screen as your phone charges. 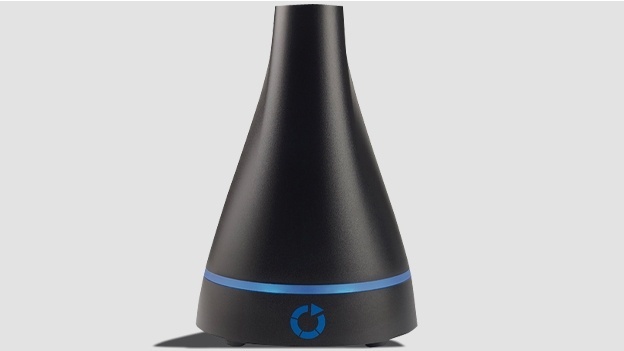 Positively reviewed by a wide variety of international organizations, the Tylt Vü was also the winner of the 2014 International CES Innovations Award. Designed for everyone from students to architects, to artists, to salesmen, the Adobe Ink & Slide is a fine-tip, pressure-sensitive pen that provides its user with a greater sense of creative control and unprecedented precision. Built to be used with the iPad, Adobe Ink & Slide uses Adonit Pixelpoint technology to ensure your straight lines are straight, your circles perfect, and your classic French curves are….well, classically curvy. 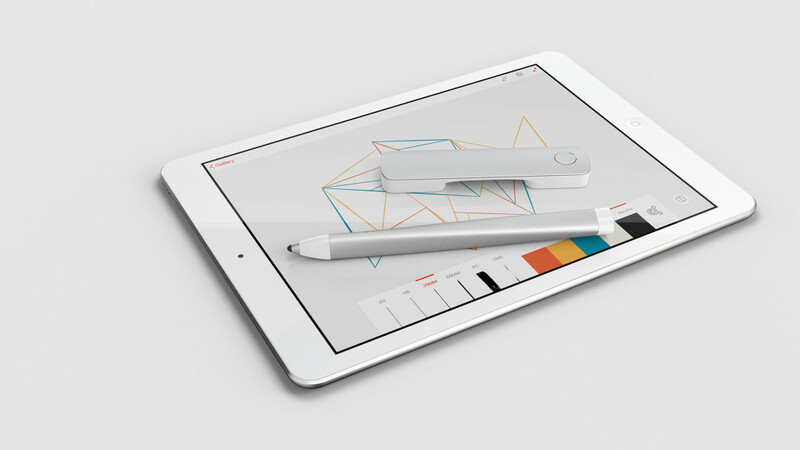 Plus, the pen integrates with Creative Cloud so you can easily share your work via email, Behance, AirDrop, and more. The most successful people all know the value of having, and displaying, a good watch on their wrist. 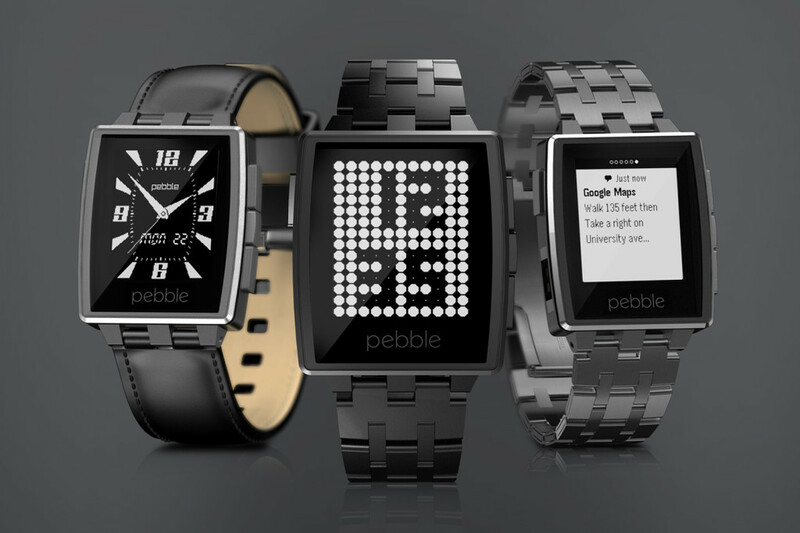 Not only is the new Pebble Steel Smartwatch attractive and sophisticated, it is useful. Use the Steel for the time, or access email, text messages, Google maps, and more on its perfectly sized face. A clear step forward from their original 2013 model, the Steel beat out a number of impressive competitors for the Verge Award for Best Smartwatch of 2014. A hit at CES 2014 and a nearly instant bestseller, Mophie Space Pack represents the future of smartphone accessories. Not only does this revolutionary iPhone case charge your phone with additional battery, it adds 32GB of storage so you no longer have to worry about deleting one thing just to make room for another. Keep videos, pictures, and documents on the Mophie, or play videos right from it. 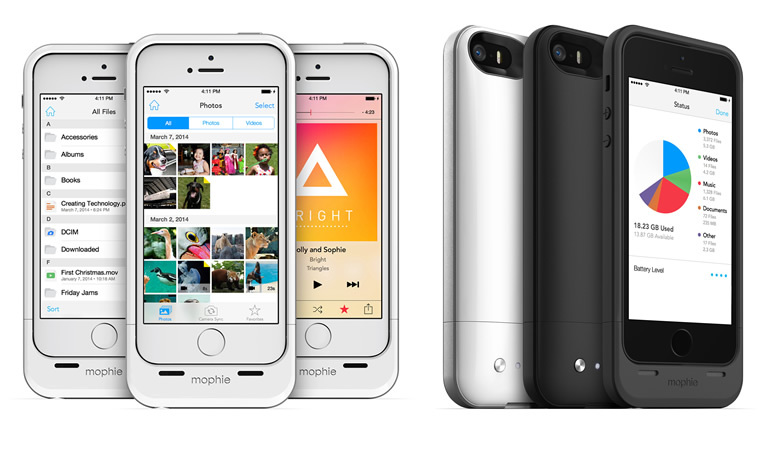 Best yet, Mophie is beautifully designed and adds very little additional weight to the phone. You’re welcomed to use the award badge at the top of this article for your promotions or publications. Click here for a high resolution version.